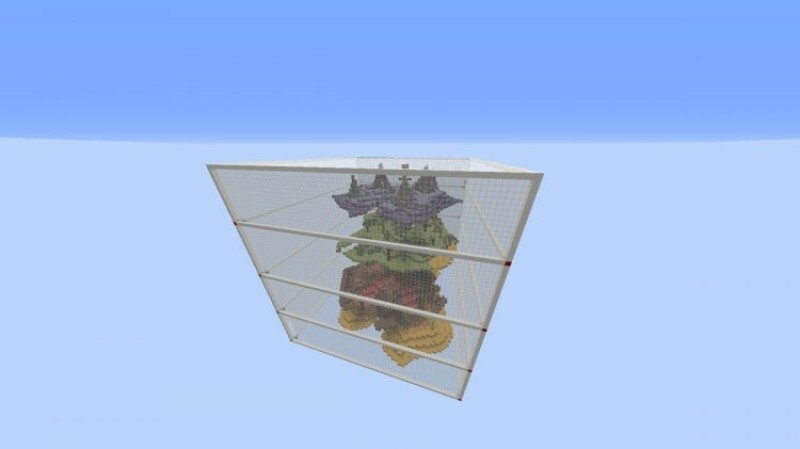 Makers Spleef is a spleef map which lots of game modes, hats, particles and more! The objective of Makers Spleef is to make your opponents fall on the wool by mining under them. In this new version: new advancements, new game modes, new items and more! Classic Mode : Classic of course, with a pickaxe, mine under your friends! Item Mode : You can find bonuses like blocks, potions, weird things... well, you'll see! 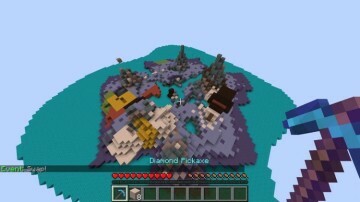 Arrow Mode : You don't have a pickaxe but your have a bow. Arrows make big holes around them. Bunny Mode : More speed and you jump higher jump. Event Mode : Random events will appear like Swap or Acid Rain. Be careful to what happens on the arena! Zombie Mode : Zombies will fall from the sky. Run! But kill your opponents too... Be don't forget to run. 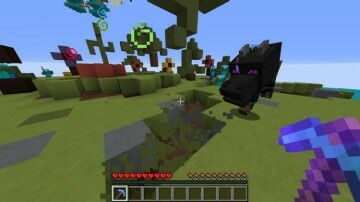 Creeper Mode : Creepers will spawn and explode the arena around you! Insane Mode : In addition to have to avoid people, you will have to be careful with explosive creepers coming from the middle. Bonuses randomly spawn on the map and you run faster! There are 4 new arenas and an advancements system! You can try to unlock new pickaxes by making awesome things like killing your friends while being invisible or be resurrected twice in a row! You can also find particles or hats at the spawn.